Today’s Get to Know the Blogger is with Georgie from Georgiexoxo, talking all things blogging and business. Thanks for taking part! Can you tell us a little bit about what Georgiexoxo is all about? My blog, Georgie xoxo, is a special place for me to document those pure, beautiful moments in life where I strive to showcase what brings me the most whimsy and joy in life. From pretty and practical everyday crafts, to recipes that nurture my body and mind, to travels from a heart full of wanderlust with a dream to see everything that this beautiful world has to offer. How long have you been blogging for, and what made you get into blogging to start with? I can’t quite believe it but my little blog is 10 years old! I can’t believe I’ve been blogging so long! I was incredibly bored in a music theory class and I soon realised that I was seeking a creative outlet outside of my rigid studies and so the blog was born! It was originally called ‘Dreams That Glitter’ after a line from one of my favourite Girls Aloud songs I was obsessed with at the time called, ‘Call The Shots’ (that dates both me and my blog!). My blog was a home for sporadic craft projects, my love for Betsey Johnson and a place to document setting up my hair accessory business Beauxoxo. Beyond my wildest dreams, Beauxoxo grew exponentially while I was still studying, and so became the focus of all of my attention. Over the past year I really started to miss my blog and relaunched to simply ‘Georgie xoxo’ in November 2018 on the same platform I started on 10 years ago. Do you have any particular topics you like writing about most? When I first launched my blog I’d describe my platform as my online diary and scrapbook simply writing about everything and anything that made me happy. So this included beauty, and travel, to fashion and crafts. Over the years I feel I’ve lovingly merged this together to be more concentrated on what brings me the most joy and that is craft, wellness and travel. I believe these three elements of my life to bring the most comfort and escapism. I adore Pinterest because it still feels so intentional in what it set out to be and I love that even though it’s a little more glossy since it started, the appeal to create online moodboards is still at the core of the platform. I adore Twitter for the community because I’ve built up so many close friendships there over the years. Finally Instagram, whilst often has a tainted view these days, for me is great to document my adventures and I love the editing process of creating memories there. There’s just countless reasons blogging is so special. The ability to express yourself and share your passions in a place that is your own is unexplainably wonderful. The landscape has changed so much over the years, but I still love that fundamentally blogging is a platform for people to voice their ideas, thoughts, and feelings with the world. And in turn, it gives you the opportunity to connect and network with likeminded individuals who share the same passions as you do. I’ve truly met some of my closest friends through blogging, souls who understand me more than anyone, and I’m incredibly blessed to be part of it all. Are there any aspects of the industry you don’t enjoy as much? Whatever you write about, there’s always the possibility that some people will misunderstand your meaning and others will disagree with you. I’ve actually been super lucky that I have never experienced any criticism in this sense but I have spent many years watching many of my friends, who have blogging as their full time career, experience this nastier side to it. But one of my favourite quotes for this is: ’Creativity takes courage’ by Henri Matisse. Being brave enough to put yourself out there for everyone to see is beautiful, bold, amazing and deeply rewarding. What has been your highlight so far? My two biggest highlights have been writing for Grazia Magazine about Bournemouth, and blog award nominations for Company and Cosmopolitan Magazine. 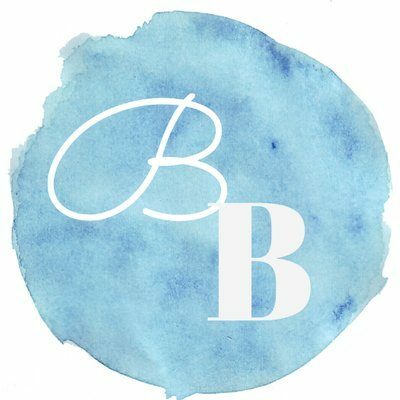 My blog has also given me the opportunity to have Beauxoxo and have a stall at the Clothes Show Live in 2011 that truly paved the way for an incredible adventure all on its own! Can you share a post with us that you are most proud of? Even though I have quite a lot of posts I’ve loved, writing my comeback post for my relaunched blog last year felt very special. To be able to share and write something so honest and vulnerable, after a long period of struggle that prevented me with time to blog, was also a catalyst for an abundance of growth in single every way and that felt like a lovely place to start my new chapter. Out of the events you have attended with the Bournemouth Bloggers so far, which has stood out for you and why? One of the very first events Bournemouth Bloggers ever had will always stick in my mind because it was the first event I had ever been to and I couldn’t believe how many people were equally as passionate about blogging as me! Then just a few years ago I remember an event for the relaunched spa at LUSH in Poole. The special touches, such as vegan cakes to match some of the products, was the most beautiful touch and they couldn’t have made us feel more at home. I actually spent my student days working at that same LUSH and the make up part, so to revisit, and seeing the growth was so lovely. Most recently our day at HARspa at Christchurch Harbour Hotel was divine! If you could work with any one brand on a collaboration, who would it be and why? Because I will hopefully be going out to do charity work in the next year I would be truly honoured to work with The Little Market. I’m deeply passionate about building and finding a community to help support and who I can work on exclusive projects with as well. So companies that share my personal beliefs about giving back in a huge way to those less fortunate hugely inspires me. What is your favourite thing about living in Bournemouth? The mosaic of habitats we have here is part of the charm of Bournemouth and the surrounding area. From sandy beaches, to pretty villages to the New Forest with majestic ponies and horses that makes the landscape look like an enchanted wonderland. My heart may often be in other parts of the world, but even I can’t deny the beauty on my own doorstep. You create video content as well as writing your blog, which medium do you prefer? For me blogging is so easy and instant. I can have a moment of inspiration, make some notes, and then sit down and create something as quickly as I can imagine it. Youtube and video creation is a longer process for me however I adore videography and creating shoots for Beauxoxo has been incredible. Through doing that it has sparked my interest in creating videos for my blog with craft and the travel videos I post to my Instagram. Do you have any advice for thinking about writing a blog, or just starting out blogging? To just go out and do it! The world is waiting for you to get out and live out your passions and dreams. Sometimes taking that big huge leap is terrifying so I always advise people to just make small steps each day. It’s far better to build on something consistently then to never start at all. But ultimately if you have an idea you truly want to make happen just start anywhere and start now and just see what happens. This quote by Marie Forleo is one of my favourites for this: ‘There has never been and never will be another you. You have a purpose – a very special gift that only you can bring to the world.’ This quote is so powerful because I truly believe that we really do all have something special and unique to offer to this world and it’s about finding the best ways to share that with everyone. Start with what you have and what you love and set about bringing everything you are into what you do and that’s where you find the most success and fulfilment. Who are your favourite bloggers and/or YouTubers? This could be the longest list so I’ll limit to top 5 of each! Make My Lemonade – I love French anything so the DIY videos from ‘Make My Lemonade’ make me so happy! I’d love to still be blogging as my side passion and not let it drift away as I have done previously when life became too busy. I’d love to use the gifts I’ve developed over the years to move forward to find new meaning for both myself personally and in life and document it through blogging. Time feels more precious than ever these days, and rather than the ‘someday’ mentality I used to have, I want today to be the day I post and do things that I love if it’s on my mind. To always make time to document those simple wondrous things in life so that I can hold them close as the complete blessings they are. Thanks so much for taking part Georgie! You can follow Georgie on her blog and YouTube channel and social media channels – Facebook, Twitter, Instagram & Pinterest.